Fabulous liquid handmade soap available in a variety of popular scents. If you like a natural body wash buy this natural soap with organic aloe and pure glycerin instead. Choose from a variety of popular fragrances and wash up with our fabulous liquid soap. 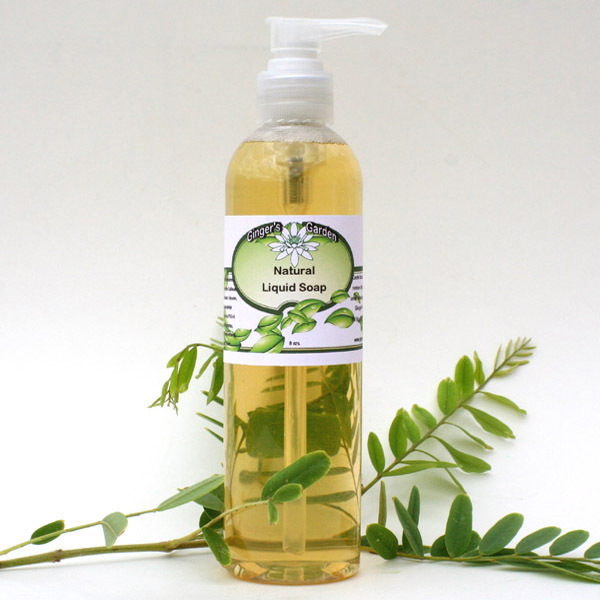 If you like a natural body wash you will like this handcrafted liquid soap. Handmade in a bottle - easy cleansing! Choose your scent below and type in your choice in the comments section of the shopping cart when you check out. Azure Seas: Get fresh! Fresh and Clean that is. This scent will linger as you go about your day. Very crisp scent that men as well as women enjoy. Lavender: Lavender has been used for centuries for it's soothing, anti-inflammatory, antiseptic properties. Pure Lavender liquid soap cleans gently. Peony: Mild floral fragrance and creamy bubbles in this soap make it an ideal soap for everyone. Rosemary Mint: A therapy based soap scented with essential oils of Rosemary and Mint. Stressless: A little innocent and shy, this soap is a creamy luxury. It gently hints of soft fragrance. Not too little, not to much; just right. NOTE: NATURAL LIQUID SOAP BODY WASH SHOWER GEL WILL NOT FIT INTO A SMALL FLAT RATE BOX. PLEASE CHOOSE THE NEXT SIZE UP. Ingr: Organic Aloe Barbadensis (Aloe) Leaf Juice, Sodium Olefin Sulfonate, Cocamidopropyl Betaine, Glycerin, PEG-150 Pentaerythrityl Tetrastearate, PEG-6 Caprylic/Capric Glycerides, Polysorbate 80, Phenoxyethanol (and) Caprylyl Glycol. May contain color, essential oils or fragrance depending on scent chosen.